Try these juicy grape flavored chewy candies and you will fall in love with them. 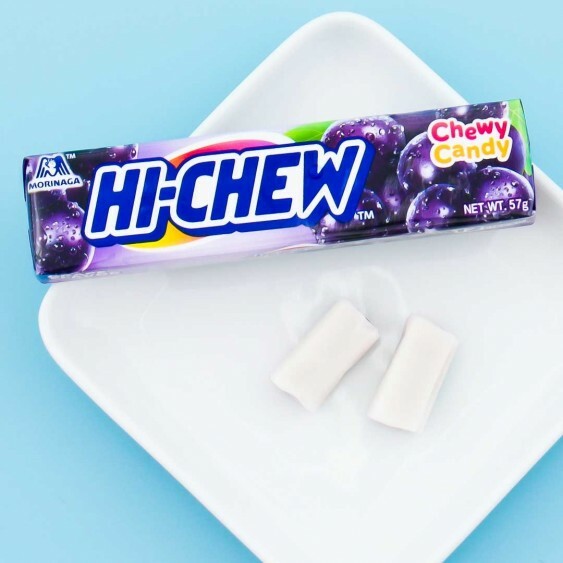 In 1975 Morinaga introduced a new fruit flavored candy called Hi-Chew, which have since become a cultural icon in Japan. 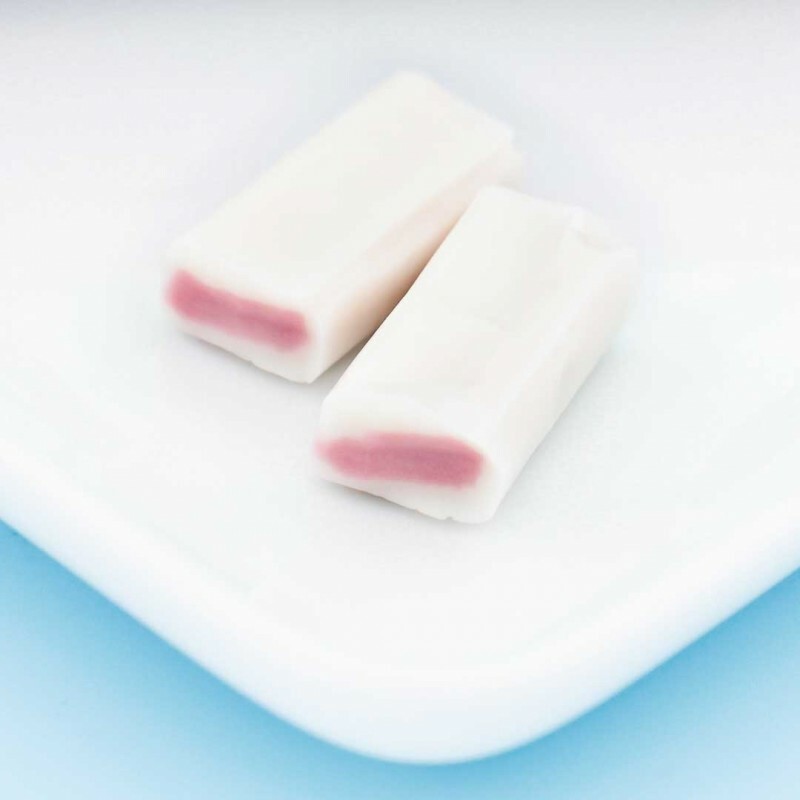 Their goal was to create an irresistible candy which at first and feels and tastes like bubble gum, but becomes softer and softer after chewing. Hi-Chew candies are much more juicy and fruity than regular candies. No matter what Hi-Chew flavor you choose, you're in for a long-lasting, mouth-watering treat. Enjoy!